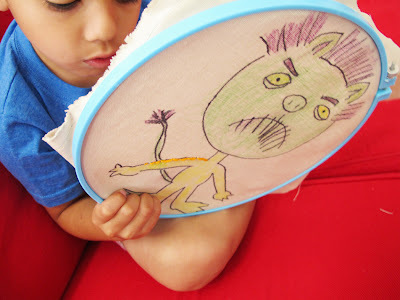 Alfredo and I shared a project with Big Picture Classes...a kid's stitching project for your little ones to try while you do the Happy Go Lucky Stitchalong! 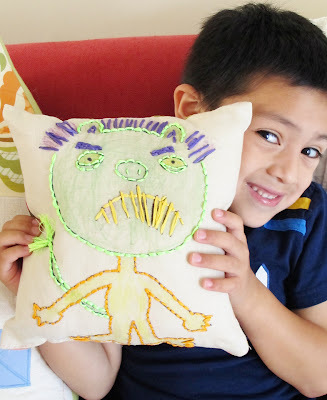 Click over to check out the fun and easy tutorial. I cannot believe how big Alfredo is getting. So cute! Goodness his stitches look great!! Good job Alfredo! Nice monster!